Beautiful apartment in quiet and comfortably furnished in the second floor with a lift, ideally situated in the heart of the city center of Aix-en-Provence in some steps of the famous Cours Mirabeau, Rotonde Place (place du Général De Gaulle), the place of four dolphins, the Museum Granet... from 1 minute of the parking 'Carnot'. An accommodation in a residential area, a complete equipment in linen supplied gracefully during your arrival and changed every week (on inquiry), cleanliness, heat of the decoration, but also the freedom to go and come as at home, the good choice of the rent of house of more large surface. You take advantage of an equipped kitchen which avoids you systematic exits to the restaurant. The studio is small and well furnished but it is a studio so three is a squeeze. I was traveling with my teenage children so we were fine. Everything you need is available in this studio. Nothing fancy but if your focus is touring and being out in Aix it is just right. This location is ideal for exploring; you are literally across the street. The owner is fantastic, helpful and friendly. A découvrir sans hésitation ! 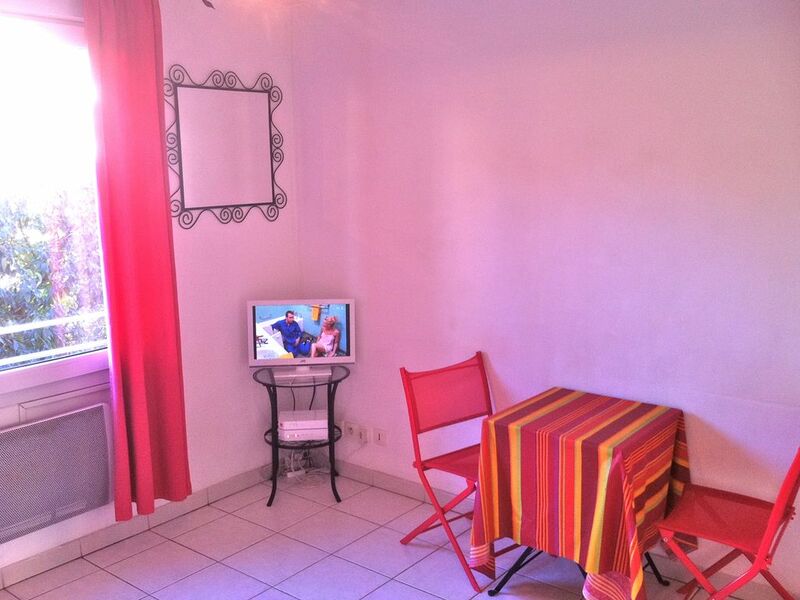 Excellent séjour professionnel passé dans ce confortable et beau studio, fonctionnel et bien équipé, calme et ensoleillé, correspondant à l'annonce. Très bien situé à côté des commerces, des sites touristiques et face au Grand Théâtre de Provence pour lequel j'effectuais mon déplacement. Très bon contact avec le propriétaire, très bon accueil, disponible si besoin. Le garage en sous sol est conseillé car les parkings publics sont bondés et très chers. Vraiment parfait ! Lovely place in Aix en Provence ! Perfect ! We choose a different location every year and this has been a favourite to date. We truly enjoyed our stay in Aix. This place is located in a very peaceful location and yet is only a short walk to the historical city centre. It was tastefully decorated, very clean and well equipped. The owner is helpful and friendly. We really recommend it in general. Thanks Armand ! Excellent choice in Aix en Provence !!! This is the second time we stayed in this excellent place. The location is fabulous in the historical centre of Aix en Provence. It is ideally located for everything you would want : restaurants, shops, markets, attractions... This place is spacious, very quiet, very clean and well equipped. Secure wifi available. The privative parking is also a real bonus in a city like Aix. Armand is very friendly and helpful. Highly recommend the place !! Excellent stay in Aix en Provence ! Excellent stay in Aix, fresh, clean and comfortable place, pleasant decor, fantastic bed, great sleep quality, quiet building, ideally location, helpful and friendly owner . This is a great place in a great location, I just wish I could have stayed longer. I am so glad to read that you had a good time with us. Logement au confort simple et fonctionnel , idéalement situé au coeur d'Aix een Provence. Armand est un hôte très disponible, très aimable et plein de bons conseils. Nous gardons précieusement cette adresse. Chèque de caution non encaissé. Forfait ménage en fin de séjour : + 50,00 €.